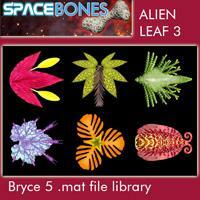 Bryce 5 .mat lib - 6 alpha mapped alien petals/leaves for your scifi growth... Free for commercial or private use. Have fun! These are so unique and fun! Thank you!